Malta is located in the Mediterranean between Sicily and Northern Africa. It is a former member of the British Commonwealth and is now an independent state in its own right. The country was the first nation within the European Union (EU) to bring in regulation of online gambling, and as a result there was a mass migration by online betting firms to the country. There are a number of benefits for betting companies who choose to locate their services in Malta, most notably low taxes and licensing fees. Furthermore, those companies licensed by the Lotteries and Gaming Act (LGA) are allowed to advertise their services to residents of the UK. The country definitely welcomes the bookmaking trade which contributes significantly to the economy, but do they impose any restrictions on their citizens as regards online betting? We take a look at the full betting landscape in Malta. Betting in Malta goes back centuries. One of the first games wagered upon was Ic-Cippitatu. This game was popular around the country with people of all ages, with various prizes on offer. Towards the end of the 17th century, the lotto was being introduced around Europe and filtrated into Malta. The government decided to start regulating the game and in 1922, the Lotto Act was brought in. The Lotto regulations were based mainly on the Italian lotto. The lotto did not stop during the Second World War, but shortly after, in 1948, the Malta National Lottery was set up. Its popularity generated interest and finance from abroad, and each week the draws were held live on radio. Class 1, covering casino-type games, skill games, and online lotteries. Class 2, covering fixed odds betting, pool betting, and spread betting. Class 3, covering peer to peer gaming and betting exchanges. Class 4, which is for software vendors. As it stands, there is regulated gambling in Malta. Horse racing is a big attraction in the country, and betting and on course bookmakers are licensed by the Malta Racing Club. There are no real restrictions for individuals who want to bet online, and they are able to gamble with both firms licensed by the LGA, and those based abroad. There are very few firms who do not accept Maltese citizens. The two most common spoken languages in the country are English and Italian, so there are no issues there as most firms have their websites translatable into both. The British have had a strong influence on Maltese culture, especially when it comes to sports. The horse culture was initially established in the early 1800’s when the British took charge of the country, and the first racecourse was opened in 1868 in Marsa. When the British left the country, the horse racing industry suffered as many thoroughbreds and jockeys deserted the island. However, the Maltese came up with solution and introduced sulky races (something similar to chariot racing). The Marsa track draws large and vociferous support and on course bookmakers enable customers to get their bets on. As with most of Europe, football is a popular sport in Malta. British soldiers occupying the country in the mid 1800’s played the sport to pass the time and the Malta Football Association now administer the league and competitions. 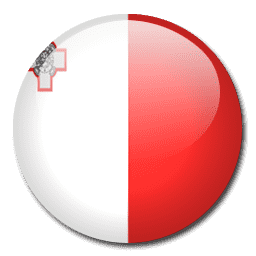 Despite the small size of the country, there are now over fifty clubs spread over four tiers and although the standard is low in comparison to the rest of Europe, the Maltese are passionate about the sport, with most of the citizens supporting either top English or Italian teams. Considering the national team has only been around since the turn of the Millennium, the Maltese rugby team has made excellent progression. They are currently ranked 44th (out of 102) in the world and for the size of the country and lack of history in the sport, do very well. Tony Drago, a former professional snooker player, is probably one of Malta’s best known sportsmen, and former Australian footballer Kevin Muscat also has Maltese blood. The Maltese economy is heavily reliant on the online gaming trade, and the country has made itself an attractive proposition for betting firms who want low taxes and rates for their business. The open attitude both to betting firms and individuals wanting to gamble online, looks set to continue for the foreseeable future and with most bookmakers accepting Maltese sign-ups, residents of the country should have no issue getting their bets on.